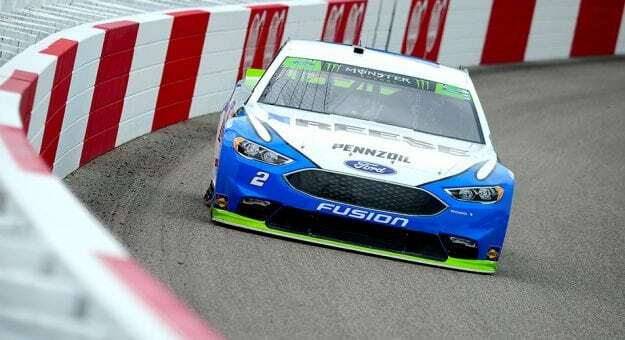 Brad Keselowski, the winner of the last three Monster Energy Series races, showed he still has speed when he led Friday’s final practice session at Richmond Raceway after clocking a lap at 120.224 mph in the No. 2 Team Penske Ford. Martin Truex Jr. was second-fastest, circling the .75-mile track at 120.133 mph in his No. 78 Furniture Row Racing Toyota. Austin Dillon (119.458 mph), Ty Dillon (119.390 mph) and Ryan Newman (119.305 mph) rounded out the top five. The Monster Energy NASCAR Cup Series returns to the track with qualifying at 6:05 p.m. ET. The cars will then be impounded and go through inspection Saturday prior to the Federated Auto Parts 400. Saturday’s race (7:30 p.m. ET, NBCSN/NBC Sports App, MRN, SiriusXM NASCAR Radio) is the second in the Round of 16. Kyle Busch topped the leaderboard in Friday’s first Monster Energy Series practice at Richmond Raceway, wheeling the No. 18 Joe Gibbs Racing Toyota around the .750-mile track at 121.190 mph. Aric Almirola was second-fastest, moving his No. 10 Stewart-Haas Racing Ford around the track at 120.968 mph. Erik Jones (120.697 mph), Ty Dillon (120.514 mph) and AJ Allmendinger (120.273 mph) rounded out the top five. The session was primarily uneventful, though Martin Truex Jr. suffered a flat tire on his No. 78 Furniture Row Racing Toyota on his first run. The defending Monster Energy Series champ was able to return to the track, and recorded the eighth-fastest speed, 120.059 mph. Four drivers faced practice holds for varying infractions last weekend at Las Vegas Motor Speedway. Jamie McMurray and Clint Bowyer (playoff driver) were held 15 minutes at the end of opening practice for being late to pre-race inspection. Kyle Busch (playoff driver) also was held 15 minutes at the end of practice, due to failing pre-race inspection twice last week. Ricky Stenhouse Jr. was held 30 minutes at the end of practice due to failing pre-race inspection three times last week.